Photo by Marlene Mendez / Annette Pozzuolo-Alessi is shown painting at a Plein Air Festival with Tyme Gallery, Havertown, PA, October 2010. 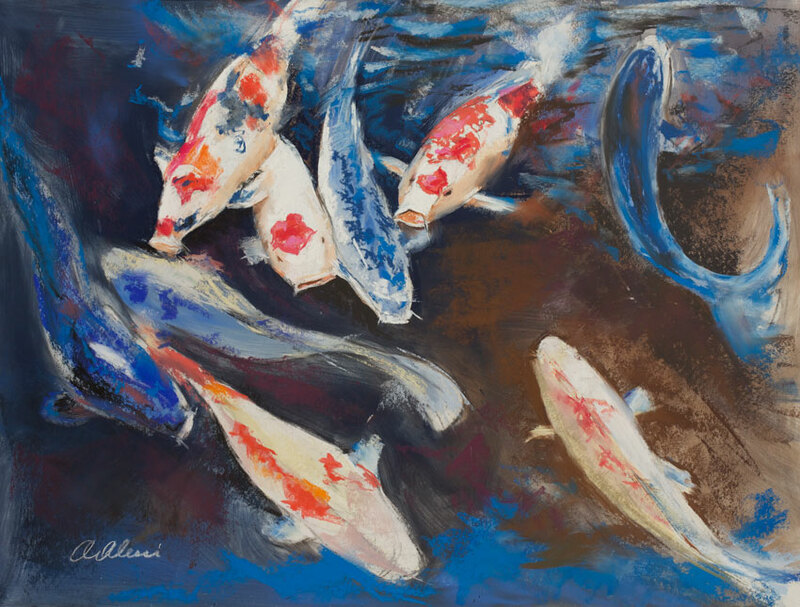 Annette Alessi is inspired by places she’s visited and passed, people she loves, time spent in nature, and observations of the light around her. She emphasizes the colors she sees “to allow the viewer to appreciate life all the more. Annette Alessi is an award winning figurative/portraiture and landscape artist and began her career in 1987 as a fashion illustrator for Alfred Angelo Bridals after graduating with a degree. All throughout the 90’s, Annette worked in the fashion advertising industry as a graphic designer, art director, illustrator and portraiture artist. She has been using pastels for about 20 years. 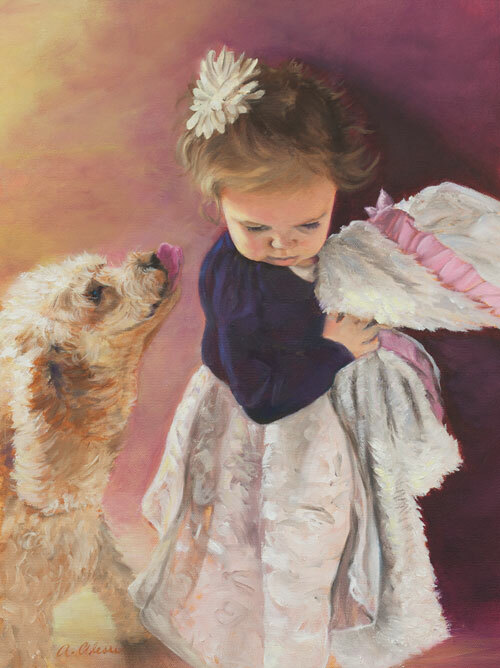 She has been using oils since 2006 when introduced to the medium by a former teacher, Karl Kuerner, a well known artist who was mentored by Andrew Wyeth. Her landscapes are self-taught only since the new millennium. Annette began exhibiting starting in 2002 with figurative works in a series called The History of Fashion. 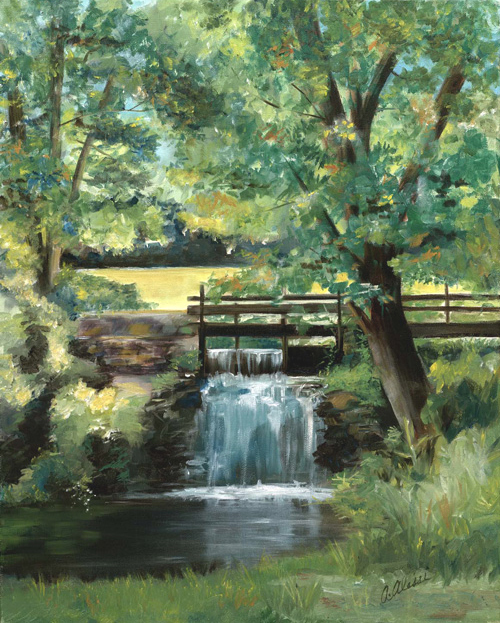 Gradually she began to frequently exhibit her landscapes which are now part of a large collection called “Brandywine Valley Landscapes” which can be found at various galleries and art exhibitions locally and nationally, and viewed on her website under gallery. Annette loves to share this knowledge acquired over the many years by teaching art to adults and teens with “Paint Along” classes for adults held at Chester County Art Association in West Chester, PA, figure drawing workshops for adults at Darlington Arts Center in Garnet Valley, PA and holds private lessons at her studio in Garnet Valley, PA. She is presently a member of the Pastel Society of America, the Portrait Society of America, Davinci Art Alliance and a few other organizations. She is represented by Visual Expansion Gallery in West Chester, PA, Hardcastle Galleries in Centreville, DE and Strodes Mill Gallery in West Chester, PA. She juried various art exhibits, including the Rose Tree Park Exhibition of the Artist Guild of Delaware County. 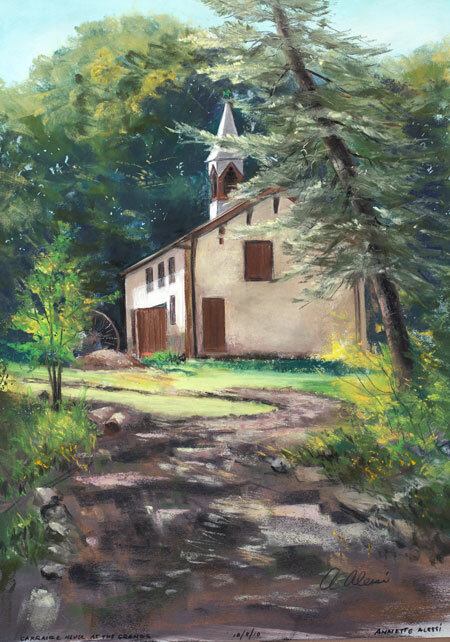 Various books have published Annette’s works such as “100 Artists of the Brandywine Valley”, “Best of American Artists in Pastel “and “A World of Artists”. Many press releases have been published showing her works in local papers including an article published in the July 11, 2013 News Journal of Wilmington in the Crossroads section, and the August 20, 2014 Garnet Valley Press. 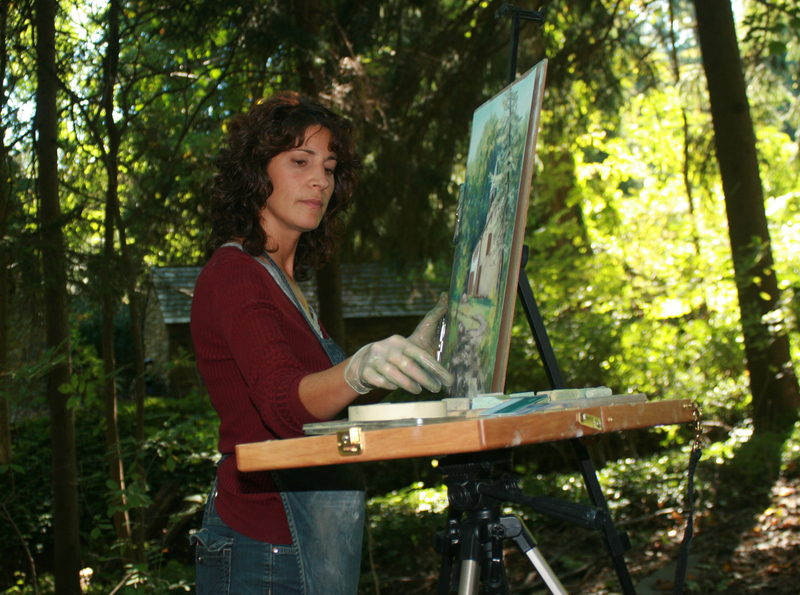 Annette welcomes visitors to her art studio and gallery in Garnet Valley, PA, where many works can be seen and purchased, and where private lessons are held.